2. What Do You Do When It's Spring? 6. A Letter From N.Y.
Yoshio Suzuki writes in a way that breaks up my style of writing. You see, I have a ritual I go through when I write for FOND/SOUND. Normally, I put on the album I feel inspired to write about and try to write my post in the allotted time that album runs through. I do so, because I feel like it allows the tempo and rhythm of the music to inform my own writing. So, that in turn I can round back and give you the reader a “feel” of that specific album through my writing. Yoshio Suzuki’s Touch of Rain has me at a crossroads, though. You see, Yoshio Suzuki’s final album for the Music Interior series has a certain atmosphere that makes me want to trail off, sit back, and pine (for lord knows for what reason) – rather than wax poetic about its creation. 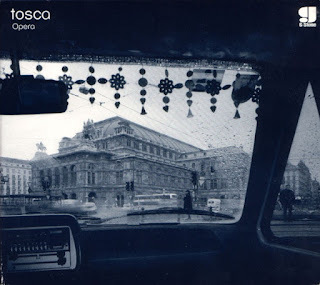 Vacillating through crystalline Smooth Jazz, ECM-style European modalism, and barely-there ambient keyboard pings, Yoshio Suzuki’s music sounds exactly like the pictured album cover: mellow, for rainy day moods, without an iota given to the sad connotations of “rainy day moods” – due to the feelings (as heard here) being profoundly weatherproof/different. Plainly stated, this is music for reminiscing and comforting one’s self in. A product of one musician aiming to make beautiful music that favored delicate clarity and precision over complex ambiguity and superfluousness. If we’re not training ourselves to expect the second coming of McCoy Tyner, we’re justly rewarded with music that sounds, feels, and inspires simple, timeless emotion. Elegant in a way that reading a special book while drinking your favorite wine is, Touch of Rain is grown folk’s music for whisking away time the moment you put it on. In Touch of Rain Yoshio tweaks the modality of Morning Picture with a scale that’s weighted more towards the acoustic side of the electro-acoustic balance. 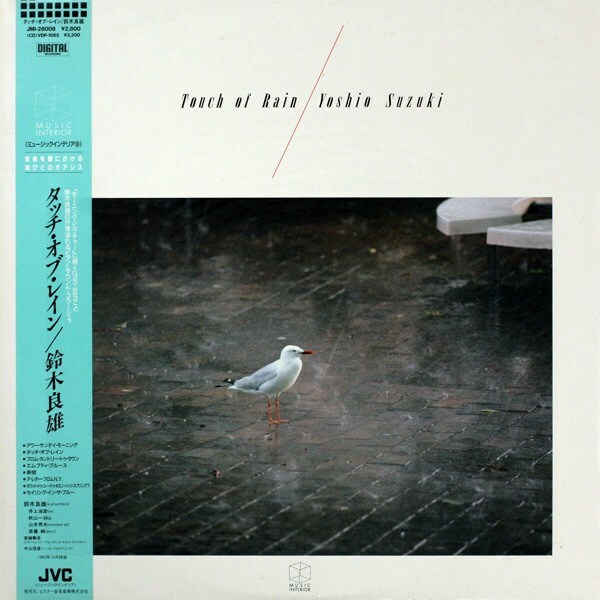 Touch of Rain also features some of Yoshio’s most profound impressionistic playing. Favoring spacious, sonorous piano or clean electric guitar melodies with dreamy electronic embellishments, Touch of Rain is an intriguing refinement of his earlier environmental jazz music. Although one get hints of the mannered new age jazz of Pat Metheny or George Winston, Yoshio wisely avoids its tropes. It’s a difference you can plainly hear. There’s no strained technique in Touch of Rain. Rather, Yoshio let’s all these heart-warming melodies breath and stay in focus. I don’t want to cast aspersions on anyone, but if anything shows why he is the nephew of the Suzuki method’s creator it’s this attention to compositional detail. Audiences sometimes need to get lost in that dream and Yoshio (wisely) lets them. Whenever the dreaded instrument of “smooth jazz” threatens to ba-bu-bup-bup its head above all else, Yoshio adds a touch of electronic percussion or a sublime bass or piano chord change to send it back in its place, wisely leaving you in that inner headspace.